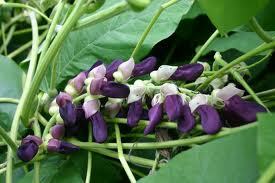 Background:The seed powder of the leguminous plant,Mucuna pruriens has long been used in traditional Ayurvedic Indian medicine for diseases including parkinsonism. We have assessed the clinical effects and levodopa (L-dopa) pharmacokinetics following two different doses of mucuna preparation and compared them with standard L-dopa/carbidopa (LD/CD). AIMS and Goetz scales.Results:Compared with standard LD/CD, the 30 g mucuna preparation led to a considerably faster on set of effect (34.6v68.5 min; p=0.021), reflected in shorter latencies to peak L-dopa plasma concentrations.Mean on time was 21.9% (37 min) longer with 30 g mucuna than with LD/CD (p=0.021); peak L-dopaplasma concentrations were 110% higher and the area under the plasma concentration vtime curve (area under curve) was 165.3% larger (p=0.012). No significant differences in dyskinesias or tolerability occurred.